As I mentioned in my introduction I'm having a lot of 'fun' with the floppy drives for my two Sord M23 mk III's. The Sord FD20 unit has two Teac FD-50C single sided 100tpi 5.25" floppy drives. I have two of these units. One of the units was my dad's - an M23 was our first computer at home (not exactly a home computer!). I picked it up last year from the company he sold it to in 1986! In the late 80's the belt on drive '0' snapped and was replaced with a rubber band - it worked in this state until the unit was retired in the mid 90's. When I got this unit I replaced the rubber band with a 105mm x 5mm rubber belt. I also thought the belt on the other one was a bit 'dirty' so cleaned it (I suspect now the 'dirt' was actually an anti-static coating that shouldn't have been removed....). This was all before I bought the second M23 and FD20, and some side-tracking with a dodgy supression cap in a PSU. More recently I've been trying to copy some old Sord floppies, the thinking being that making copies of disks written 26-28 years ago onto new(er) media would be a Good Idea This is where I'm starting to get issues with these drives. The drive with the replacement belt appears to work some of the time. I managed to duplicate the original Sord FDOS/BASIC disk onto blank media (bulk erased), and can boot onto this copy - sometimes. Swapping drive '0' (rubber belt) and '1' ('clean' belt) made things more reliable, but still no brilliant. Some of it does seem time related - this evening I tried again, booted ok off the copy, made another copy (which won't boot), formatted some disks, but then couldn't boot of the one that worked fine again. A couple of months ago when I was last looking at this I had some major issues with the M23 not starting correctly, issues accessing the drives etc, so cleaned the M23 system board, disk controller cartridge PCB, floppy drive boards, all edge connectors and the heads with 100% IPA. This gave me a system that started 100% of the time, but no change to the drive issue. The other FD20 system won't boot any of the copied disks. I haven't tried originals as I really don't want to risk them! Before I start trying to clean the heads etc in these other drives, I want to get some opinions here on the best way forward. I've attached some photos of the drives etc. Some more photos of the drives, and of a working M23 mk III system (and messy workshop). The belts could be slipping, if they are the wrong type, or aren't gripping enough on the wheel. Is there any way you can tell if the rotation is constant and correct (drive maintenance software, strobe patterns etc.). Certainly a head clean is worth while. One thing to look at are the drive rails. These can get sticky sometimes and prevent the head moving properly. Have you tried cleaning the rails, then adding just a touch of light oil? Bad radial alignment is always possible. Usually a disk created in a drive where the alignment is off will still work in that drive though...just in no other drive! Hi Tez. There are strobe patterns there - I suspect they may be 60Hz though which makes life difficult, but I'll check on one of the non-tampered-with drives. No software to tesst with - the drive diagnostic software is on floppies! The Sords just have a bootstrap ROM - no OS, BASIC or anything - so on power on you simply get "SET DISKETTE AND STRIKE ANY KEY"! Its not clear from the photos - wrong angle - but the head isn't moving along a smooth shaft but along a worm gear type arrangement. I did apply a tiny amount of lubricant to this but was a little cautious on this. In terms of cleaning the head - clean in the direction of media travel with 100% IPA? [EDIT] just checked the shots again. Clearly marked on the strobe - 50 and 60 Hz - d'oh! Good suggestion, I'll check the speed tomorrow. Anyone got service information on the FD-50C or other Teac drives of similar construction and vintage? I figured they just needed some time for that worm gear to loosen up after years of inactivity. Could this be a possibility? Not sure about what direction to go in when cleaning the heads. I have one of those cleaning disks and tend to use that, but I have swabbed the heads with a cotton bud and the cleaning solution now and again. I guess in the direction of travel makes sense as far as safety goes. Plastibands are polyurethane and I've used them to replace tension belts in QIC tape carts and drive belts on floppy drives (particularly the ones on the Amstrad Joyce 3" CF2 floppies). They have a tremendous amount of stretch and don't seem to degrade. They come in a 2" and 4.25" size. Thanks Tez and Chuck for those pointers. I checked the speeds on the drives and they all seem a smidge fast! The original belt is about 110mm x 5mm and not stretchy at all. I have replaced it with a standard 105mm x 4mm (got it wrong in my first post) audio belt, which should be adequate - although I may drop back to a 100mm one next time I look at the drives. Those bands look interesting - and I guess they are cheaper than 'real' belts - but I don't think I've seen them here. I'll check next time I'm at OfficeMax. The 4.25" (108mm) size would be closest but not sure if it will be much better than 105mm. Being polyurethane they should be a lot better than standard rubber bands, although if they are really streatchy I'd be a bit concerned that they'll do that jerky thing rubber bands tend to do! Today I had another look at the system and tried something else - I have two sets of drives, neither of which will boot off drive 0. Obvious thing to try - pull drive 1 out of one set, jumper it to drive 0, and replace the drive 0 of the other set. I tried this - now I have an FD20 enclosure with two drives which appear to be working perfectly - I've copied some system disks, formatted a heap of bulk-erased floppies, loaded various software and everything is fine. They're just both marked '1'! I also have an FD20 enclosure with two 'drive 0s' which need a bit of TLC. If i can track down information on Teac drives of this era I may have a look to see if everything is right. It may just be that as the boot drives they are just worn out - although the likes of Sord's PIPS software and the survey calculation package dad sold for them use both drives - 0 for program, 1 for data - as it was safe to assume that an M23 would have two floppies. To this end I'd still like to hear from anyone who has experience or information on Teac FD-50x or any similar Teac drives from this era (these ones were manufactured in 1981). Alignment procedures, what the test points are for, that kind of thing. Info on the TEAC FD55 model can be found here. Not quite want you want, but it might help. Very different animals, Tez. The '50 is a belt-driven "old technology" drive; the FD-55 was the standard chassis for all 5.25" HH (360K/720K/1.2M)Teac drives throughout most of the 80's and 90's. Personally, I'd like to get my hands on some Teac FD-50s. They're not common here. Those Plastibands aren't like bungee cords the way rubber bands are--they stretch amazingly, but aren't springy. The belts in QIC tape carts are also polyurethane--they start out as annular rings punched out from a single sheet. 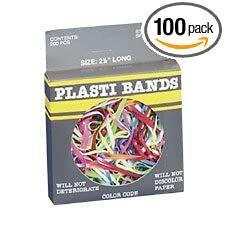 The tech support people at Imation thought that using Plastibands as a substitute was pretty clever. I've recoverd data from DC2000 and DC600 QIC carts for customers by using these. I've managed to find the schematics for the FD-50. No alignment information or other service info, but its a start. Unfortunately, this was a custom made drive, so there's is no information on it. So the next thing is probably to find out if there's any way of checking the alignment - anyone got 100 tpi alignment media? Last edited by arjoll; April 8th, 2009 at 01:32 AM.